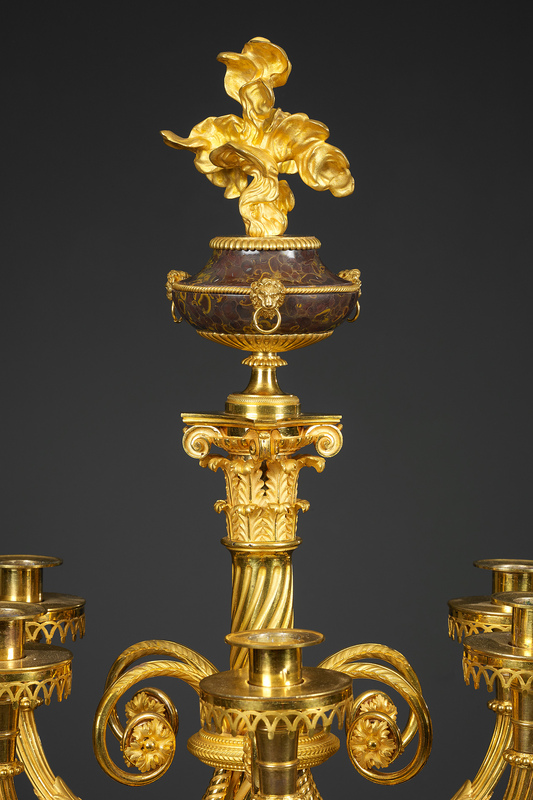 A pair of impressive candelabra each composed of an ormolu vase mounted with three eagles’ heads linked by floral garlands, supporting a tapered spirally fluted standard surmounted by a Corinthian capital and an ormolu mounted pistachino marble urn with flame finial. 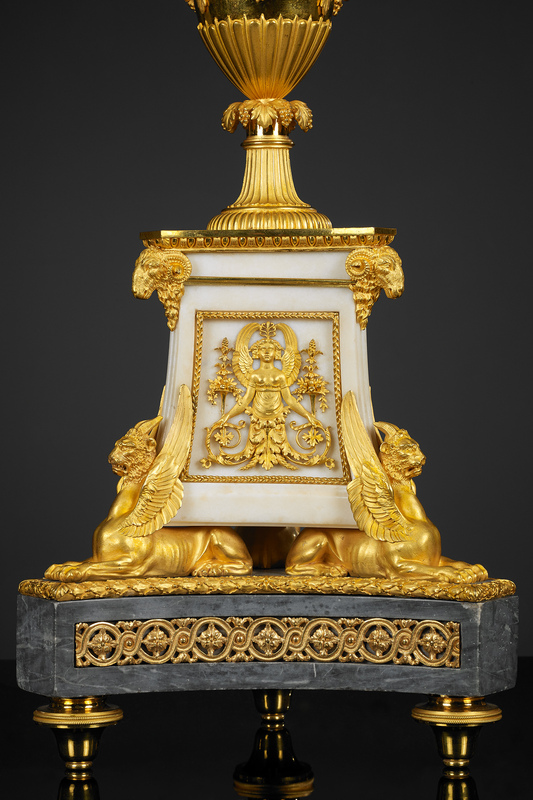 The curved reeded candle branches cast with spiral fluting and acanthus leaves, the whole above a flared triangular white marble base marked at the corners with rams’ heads and mounted on each side with a plaque depicting a winged torso cast with acanthus leaves, raised upon the backs of three ormolu griffins above a concave-sided triangular bleu turquin marble socle decorated with rinceaux above ormolu feet. 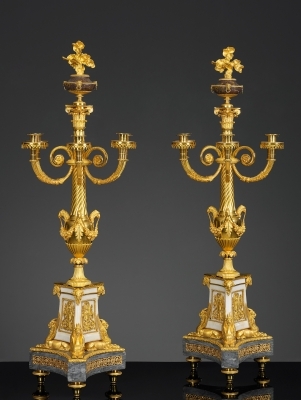 The design of these candelabra can be found on a coloured pen drawing in the Musée des Arts Decoratifs in Paris. 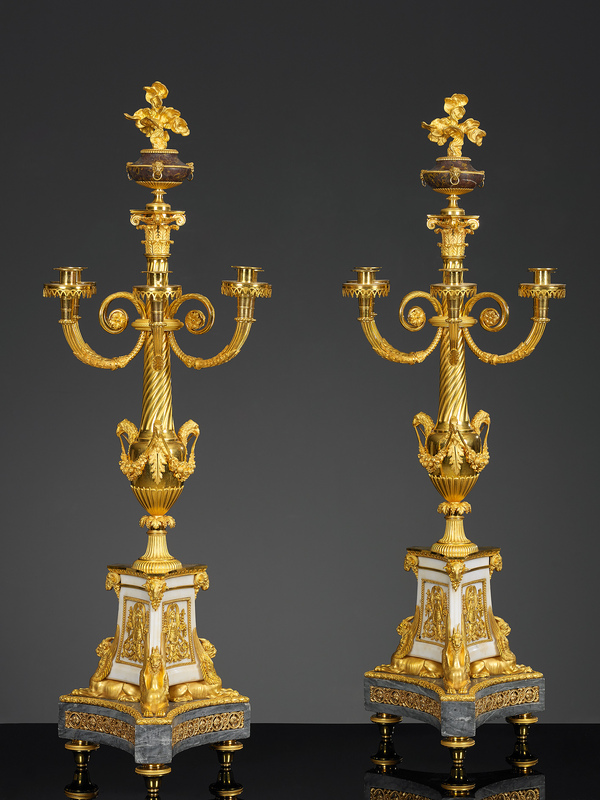 It depicts two proposals for a composition of decorations for a mantelpiece and is attributed to the workshop of Pierre-Philippe Thomire around 1785. 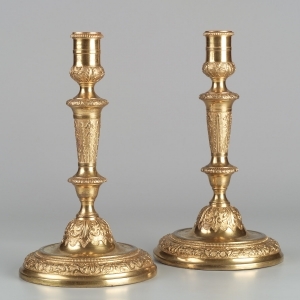 A similar pair of candelabra from the Jaime Ortiz-Patiño collection has been sold by Sotheby’s New York on May 20. 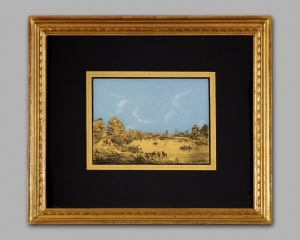 1992.